Giving the stability and strength of the Eiger Collection with unbeatable value the Eiger Petit offers a versatile and durable multi-ply with the character of a traditional solid floor. 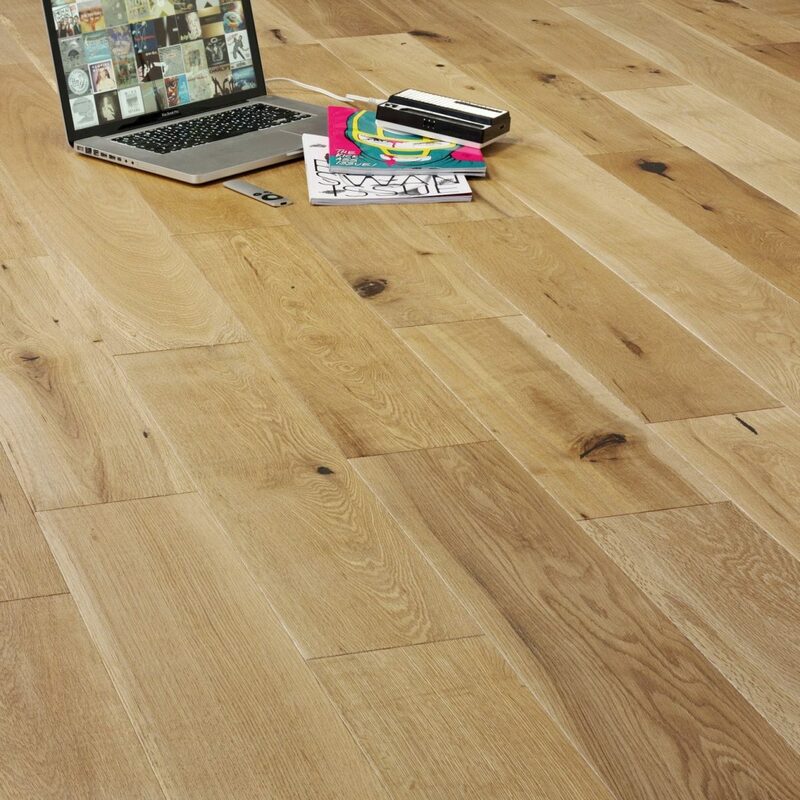 Multi- layered hardwood with random sized boards and thick top layers, the Eiger Petit Collection is bursting with character floors. The 5 mm rustic oak top layer is rolled with steel brushes to take away the softer grain whilst following the contours of the natural grain, the result is an enhanced surface texture which becomes tactile underfoot and extremely durable to everyday scratches. EP101 is a tongue and grooved board which can be installed as a floating floor on underlay or fully bonded with floor adhesive to the subfloor. Read more about Installation here.